For more than 60 years, the Friends of the University of Delaware Library (formerly the University of Delaware Library Associates), through its dedicated members, has provided more than $1 million in financial support to the University of Delaware Library, mainly its Special Collections. The generosity of these members, coupled with the hard work of Library staff, have resulted in an extraordinary selection of highly admired rare materials, books and artifacts. These materials serve as an invaluable resource for academic study and scholarly research by which University students, faculty and the general public use and benefit greatly. The Friends group eagerly invites others to join as members of the organization. If you have interest in becoming a member of the Friends group, please visit our gift page to make a donation of at least $50 today. Your thoughtful gift will further the richness, strength and depth of the Library’s Special Collections and comes with a host of benefits such as invitations to the Friends’ annual dinner and annual faculty lecture. 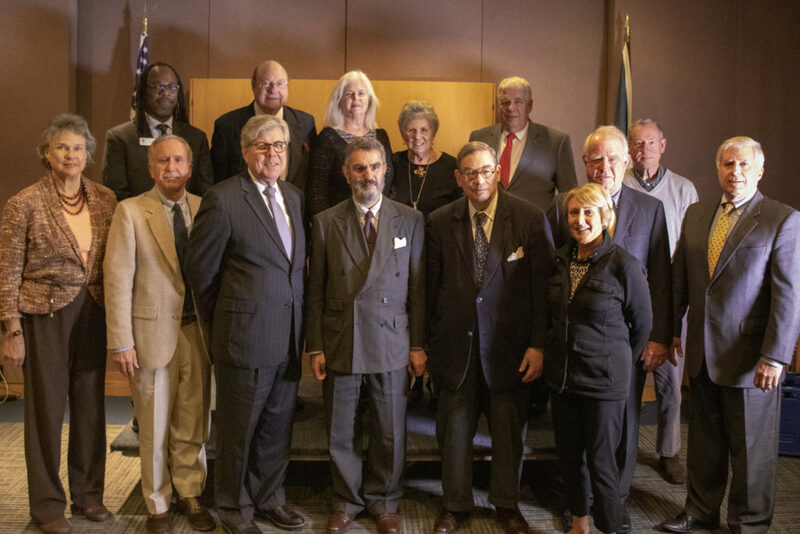 Friends of the University of Delaware Library pose for a picture at the November 7, 2018 annual board of directors meeting.